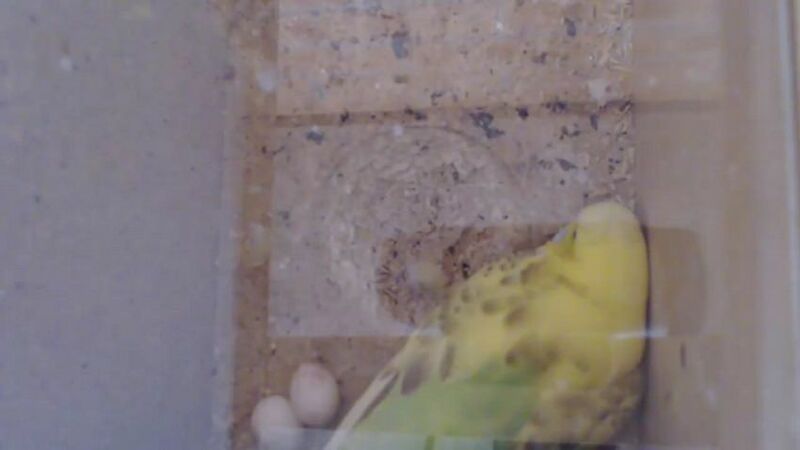 Screenshot taken while she rested, right after laying the second egg this afternoon. 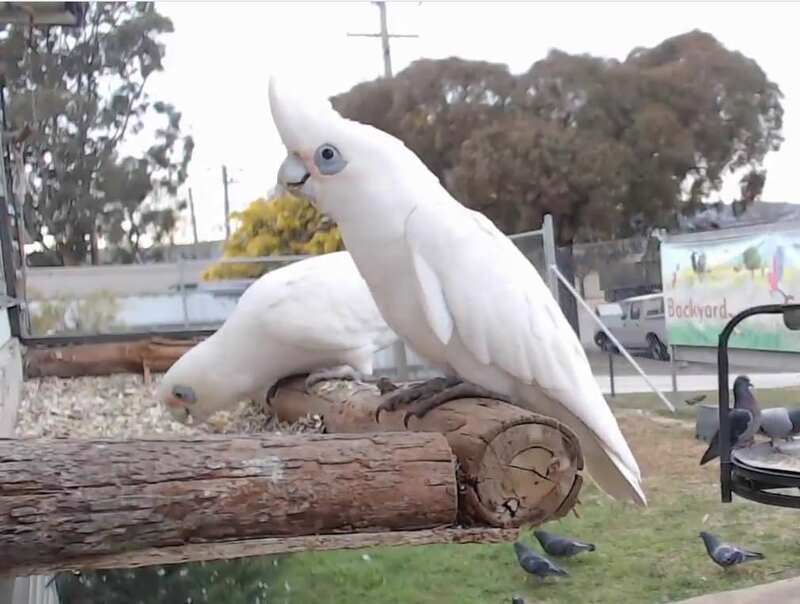 'Blue-eyed innocence' - NOT! 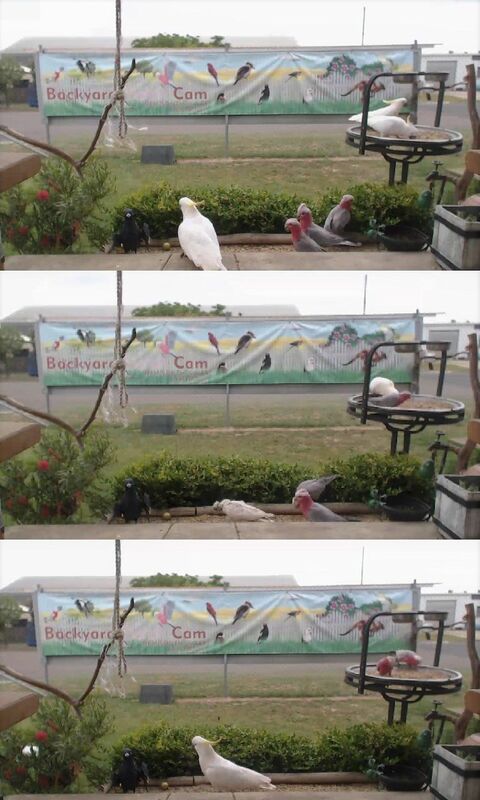 These Corellas are so beautiful, but very pushy! 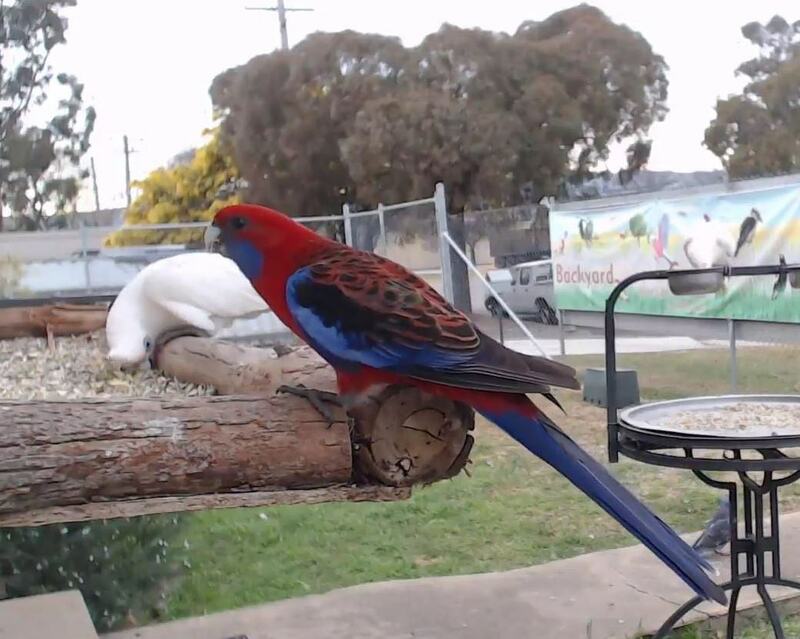 The lovely Rosella was only there for a brief moment, before the Corella lunged! 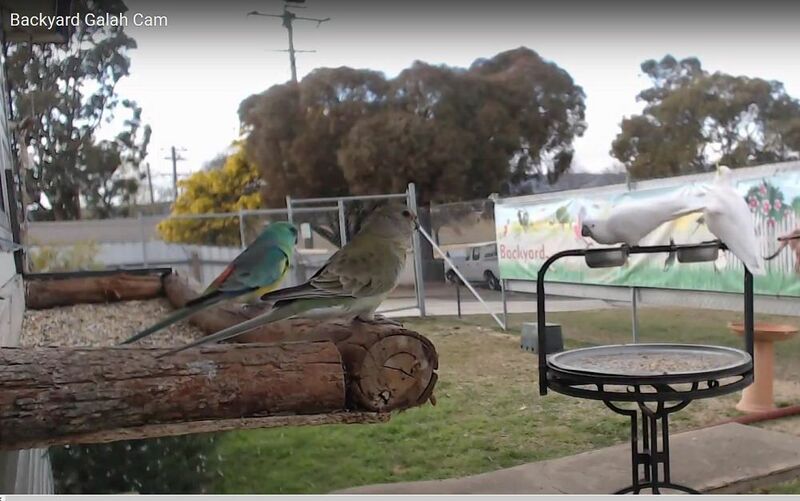 Today the Grass Parrot couple were there - Mr and Mrs Red-rumped Grass Parrot! 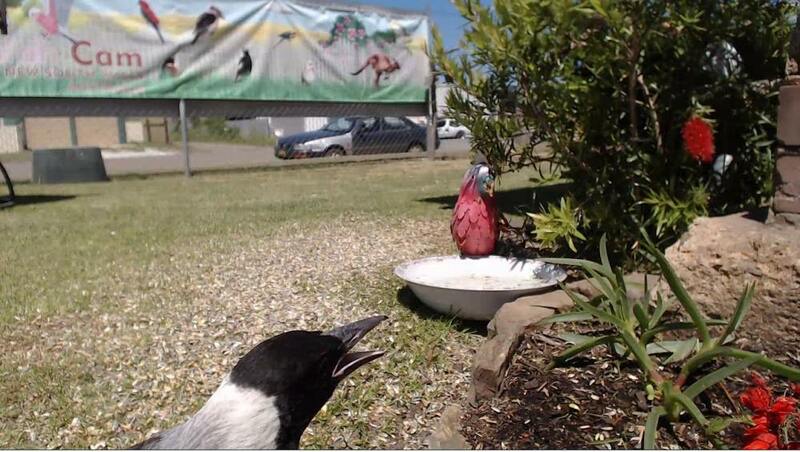 Today it was the magpie's turn to get aggressive! 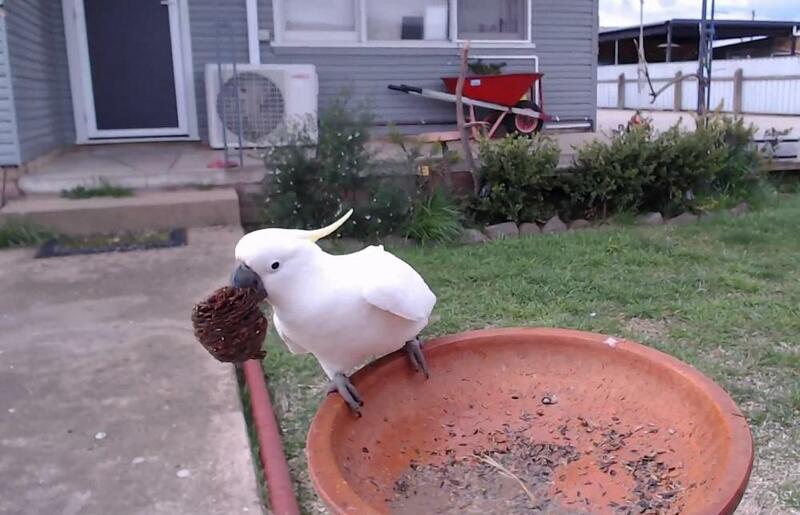 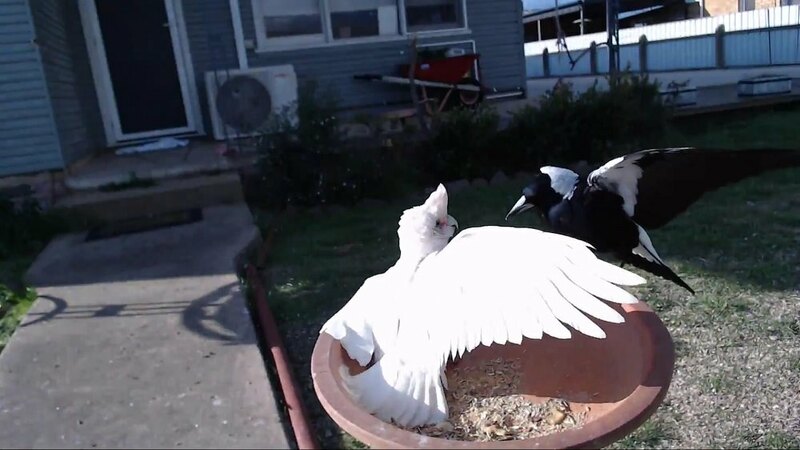 The tree cone that had been in Kim's birdbath feeder was removed - by a Cockatoo, of course! 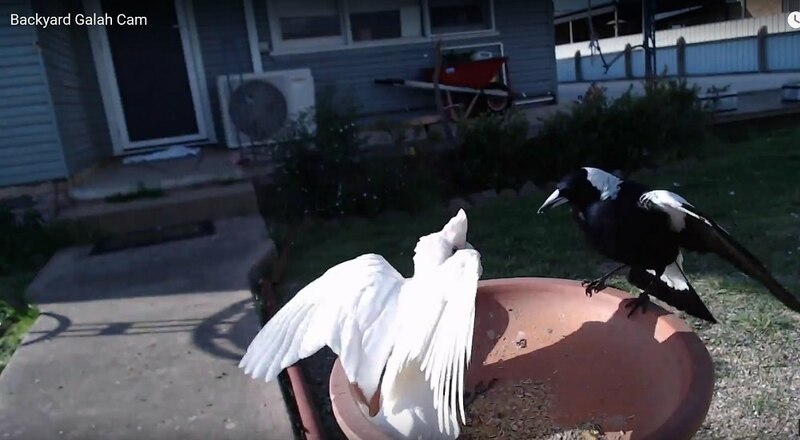 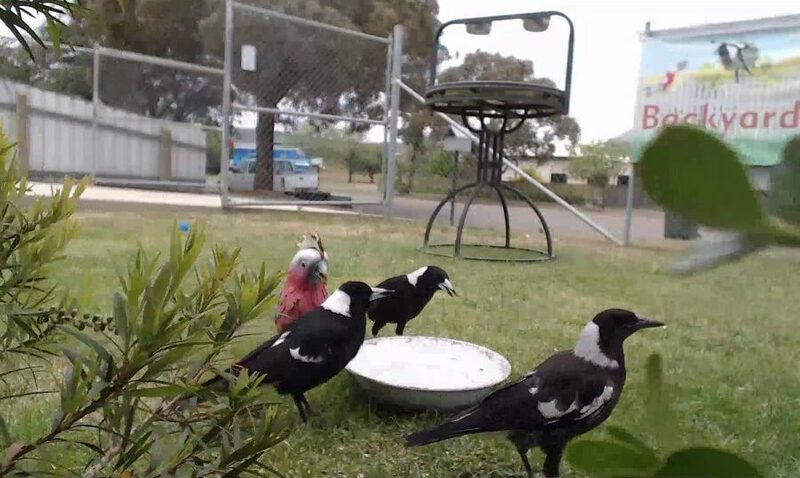 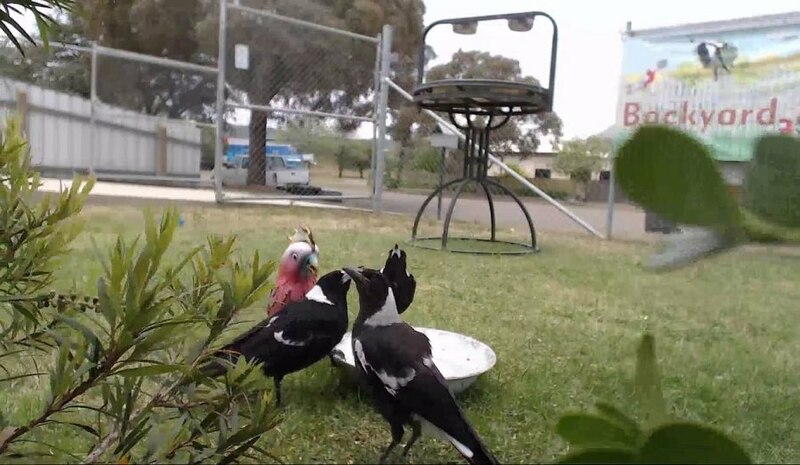 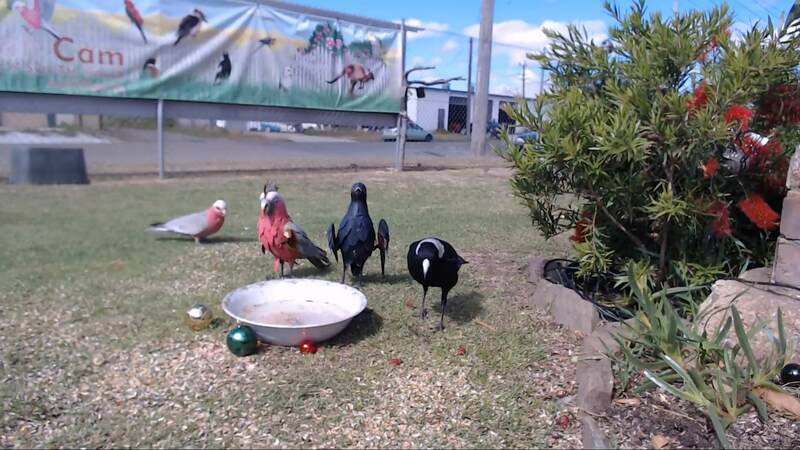 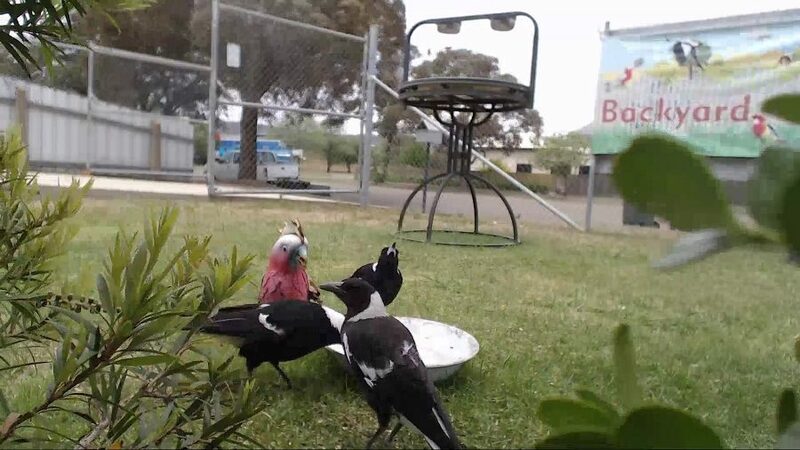 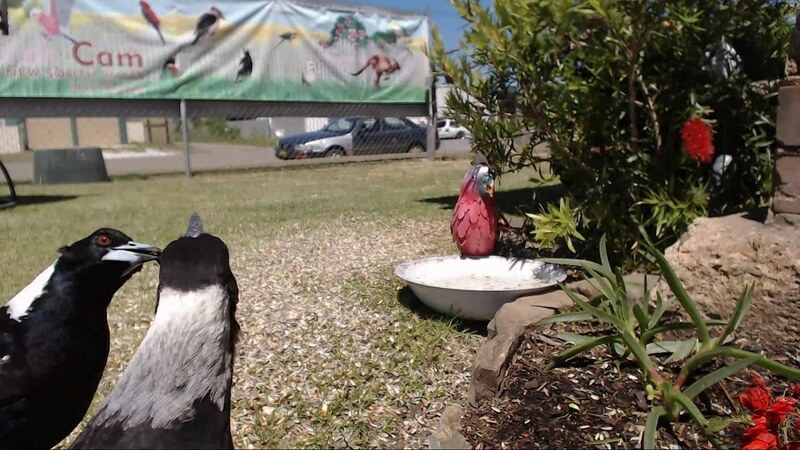 Weather is warming up, and the magpie family came for a drink! 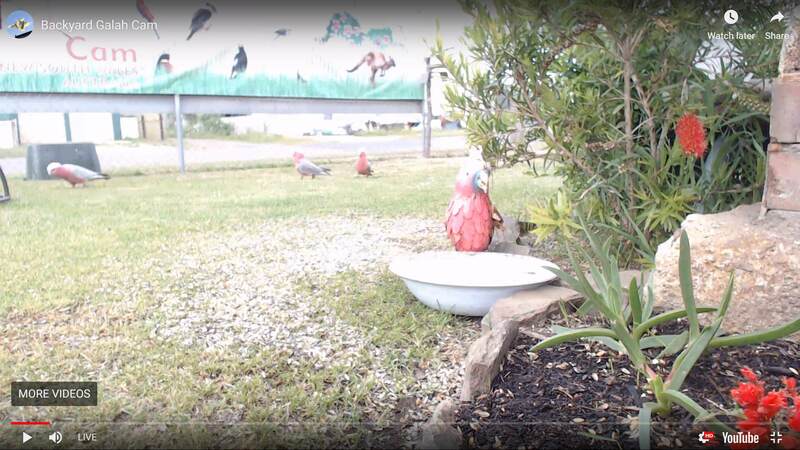 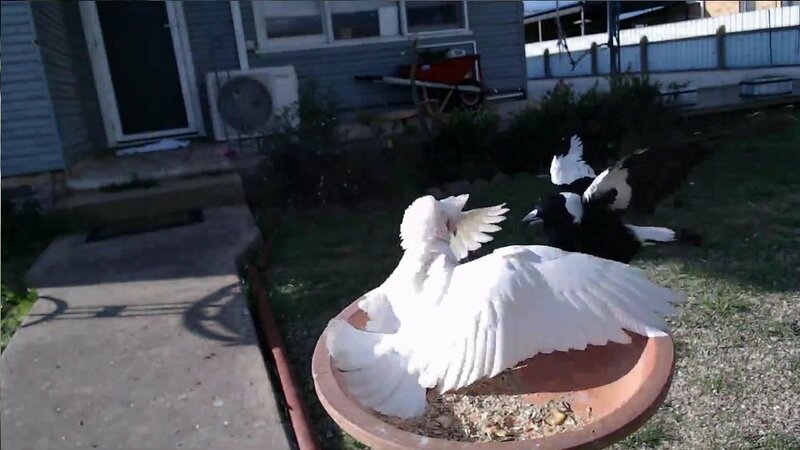 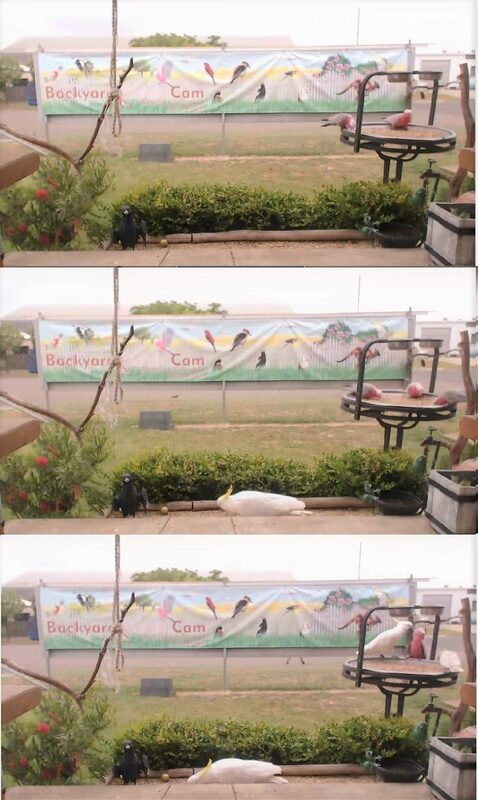 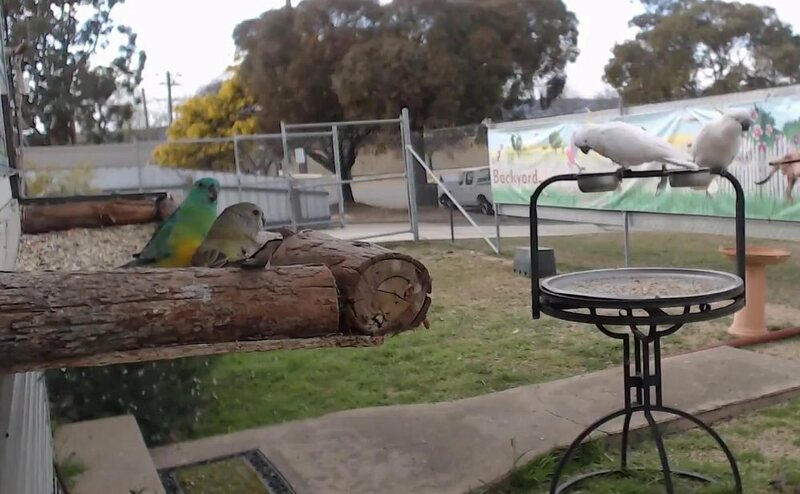 Three Galahs stand up to the corellas and cockatoos!